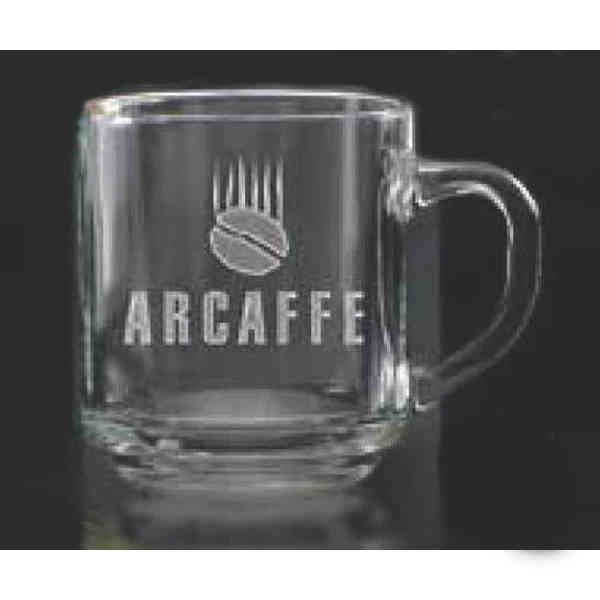 The Capri Glass Coffee Mug lets your brand and your beverage take center stage. This fashionable promotional mug has a 10 oz. capacity and is ideal for use in a variety of promotional settings. Add a custom ideep etch of your advertising information and create an effective display that you can count on. They will let others know about your products thus allowing your business to grow. Don't wait - order now and give your clients something they'll continue to use.